It’s that time again, the dreaded cold and flu season! Here are ways to support your immune system naturally. Many of the suggestions I have listed are herbs or botanicals you can find in your kitchen cupboard. Lets start with the basics, as these really do work. Our best defense against these nasty infections is to support our body’s natural defenses through lifestyle, nutrition, and supplements. I know we have heard it over and over again, but washing your hands frequently is the first and best way to protect yourself from viruses and bacteria. A virus can live up to 48 hours on a surface. That eans, the doorknob you just touched could have hundreds of viruses on it that have been there for 2 days! So, wash your hands frequently!! I also suggest wearing cotton gloves everywhere you go so your hands don’t touch hard surfaces. Cold and flu germs live longer on hard surfaces than soft surfaces such as fabric. Secondly, avoid touching your face with your hands. Use a tissue if you must scratch your nose. Don’t bite your nails. Avoid rubbing your eyes. Avoid handshakes as much as possible. These are all avenues for germs to enter your body. Another important consideration is the amount of stress you are under. Research shows without a doubt the relationship between stress and your immune system. When you are under stress your immunity is reduced. So practice stress reducing strategies. Take time out for yourself, pay attention to how many things you take upon yourself. If you are feeling overwhelmed just stop and take 5 or 10 minutes to just breathe and relax. It makes a huge difference in what is going on in your body. Sleep deprivation reduces your immunity to colds and flus. Certain proteins are released during sleep that help us fight infections. Also the number of antibodies produced by our body can be as low as ½ the normal amount produced when we are sleep deprived (getting less than 4 hours of sleep). We also have a harder time recovering from infections. Sleep is essential. This is when the body heals. So get a good nights rest. Minimize alcohol and caffeine intake which can affect sleep. Go to be a little earlier and get your 7 or 8 hours good sleep. Teenagers need a little more sleep, close to 9-10 hours. School age children need at least 10 hours. When you are exhausted, your ability to fight infections is affected. Diet is extremely important. Avoid processed foods and foods high in sugar. Soft drinks and diet sodas full of aspartame will directly reduce your immunity. Herbal teas, green tea, diluted fruit juices would be better choices. Focus more on whole grains, colorful fruits and vegetables, cold water fish, beans, nuts. These foods will give us the vitamins and minerals we need to keep our immune systems strong. Now with vitamins, I suggest starting with a good high quality multivitamin/mineral supplement. You can see your local naturopathic doctor in your area that can discuss what the right supplement is for you because everyone is different. There is so much on-going research on the immune boosting benefits of Vitamin D. We mostly get this nutrient (technically a hormone) from the sun. Living in Vancouver in the winter months, we don’t get that much sunshine so we are at a higher risk for vit D deficiency. So a good vitamin D supplement can help boost your immune system and provide anti-cancer benefits. The list of the benefits of Vitamin D is long. I always suggest this nutrient to my patients both in summer and winter months. During the winter, 2000 IU (up to 4000 IU) per day is a good dosage. Again, discuss this with your naturopathic or family doctor as some people should avoid Vitamin D if they are taking certain medications. Fish oil is also a good source of vitamin D.
The health benefits of garlic on the immune system is quite well studied and published in many scientific journals. 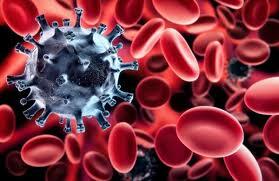 Not only is it effective in killing viruses, it is also effective in killing cancer cells. Garlic increases the production of White blood cells, Natural killer cells and increases the efficiency of antibody production. Eat one clove of garlic a day, or take a capsule form containing 1500 to 1800 milligrams of fresh garlic equivalent a day. Thankfully you can get odor free versions. Oregano oil has long been known to be effective against viruses and bacteria. Now a recent study published in the Journal of Microbiology has found oregano oil is effective at killing Norovirus, 99.99 effective! Dosage: take 4 drops of oregano oil daily, with at least 80% carvacrol content (the active component in oregano oil). Zinc is a great nutrient to boost our immune system. You may have tried zinc lozenges; they really do help with viral infections! Taking zinc lozenges when you are sick reduces the time you are sick. Zinc gluconate or acetate lozenges every 2 hours within the first 2 days of a cold can reduce its duration. Lozenges that contain at least 9-24mg of zinc are most effective. Ginger is very effective at keeping your immune system strong and fighting off colds and flus. It is an antioxidant, anti-inflammatory and antimicrobial. It increases the effectiveness of macrophages at killing viruses and bacteria. Macrophages are immune cells that kill invading pathogens. They are essentially our first line of defence. Modulation of macrophage functions by compounds isolated from Zingiber officinale. I recommend eating fresh ginger daily, or making a tea using fresh ginger. I can’t say enough about Turmeric. It is my favorite spice! It is great for fighting off viruses and boosting your immune system. Studies have found Tumeric triples the amount of an important protein called CAMP (Cathelicidin antimicrobial peptide) that helps our body fight off infections. This study was published in the Journal of Nutritional Biochemistry and conducted at Oregan State University. ¼ tsp 3 times a day in some water or in a capsule form is great. At Vitalia Health care, we offer intravenous infusions of vitamins, minerals, amino acids and botanicals to keep you healthy. Pascoleucyn. We administer an herbal/homeopathic product under the tongue. Nice way to support the immune system. I suggest taking all of these steps and simple but effective supplements to support your immune system. By providing our body with nutrients, stress management and rest, and by removing processed foods we are supporting our immune system. So if we do get sick, we are increasing our body’s ability to fight the virus and recover faster. What to do if you do get sick; Dr Alibhai’s recipe for a speedy recovery! As soon as you notice a scratchy throat or like you are coming down with a cold, start taking vitamin C: 1000-2000mg every 2-3 hours for 8 hours. Watch out, for some people Vitamin C at this dosage can cause diarrhea; if this happens cut down on the dosage. Then continue Vitamin C at 1000 mg 3 times a day for the next 3-5 days. Better yet, come to Vitalia Health Care and get 10,000-15,000 mg Vitamin C in an intravenous infusion (IV). Works very well for a quick recovery from a cold or flu. Also take 3 drops oregano oil and 2 drops grapefruit seed extract diluted in ½ glass of water 2-3 times a day. Do not use in children or pregnant women. Take one 250 mg capsule of Astragalus (A Chinese herb known to stimulate the immune system) twice a day until you are feeling better. Add garlic to your food. If you can do it, eat a clove of garlic. Keep yourself warm with lots of fluids, soups, and teas such as ginger or Echinacea tea. Get plenty of rest the first day! I always find the first 2 days are the most important to rest. If you push it, your cold or flu will seem to last much longer and be more severe! Many people seem to have weakened immune systems and feel like they get a cold or flu very frequently. For these individuals, I highly recommend seeing a Naturopathic Doctor at Vitalia Health Care who can customize an effective treatment strategy individualized for you. 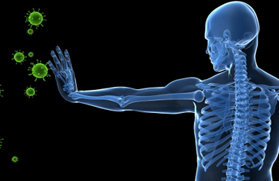 Vitalia Health Care offers state of the art diagnostic testing which may provide clues about a weakened immune system. Many of the treatments I have suggested can be administered in an intravenous infusion, thereby by-passing the digestive system and delivered right into your cells! Your immune system with love it! "Dr. Tasreen Alibhai had the foresight to recommend that Telus Mobility offer a healthy, effective alternative to its team members. I have noticed that when I take it, It improves my immune system for those times when I am not able to improve it on my own. We are pleased to offer this immune system to those of our staff who are interested."